Tongwynlais Temperance Band are celebrating their 125th anniversary with a concert on the 16th of November. Starting from humble beginnings in 1888 by a few enthusiasts meeting from the Melingriffith works and originally known as the Brooker’s Band, a musical fever rapidly spread around the village of Tongwynlais which was also home to a thriving Temperance movement – it was from this that the Tongwynlais Temperance Silver Band was born. Rehearsing in the local infant’s school and in the long room of the Lewis Arms public house until 1925, the band moved into their first band hall in the shadow of the iconic Castell Coch on Castle Road. Since their foundation (and often against formidable odds), the band has achieved a position within the brass band fraternity which its members and supporters can be justly proud. The activities of the band were suspended for the duration of the 1914-18 war; but struggled through the second world war despite the enlistment of some 18 of the 33 band members and this saw ladies being allowed to join for the first time. Moving to more recent times it was early in 2000 when the band really made a mark by attending the 1st Section Finals and the attendance at this prestigious competition marked a turning point in the band’s soon-to-be contesting fortunes. 2009 saw the band join forces with Philip Harper as Professional Conductor and had a stylish win off the number 1 draw to become the 1st Section National Champions. The Band continued to work closely with Phil towards ambitions of qualifying for the “Nationals” in the Royal Albert Hall and The British Open and it was in 2010 that the Band did just that. The journey to the British Open was especially notable seeing the Band being the first to come through all sections to the Open within the current set-up of the Spring festival having started in the Senior Cup in 2004. Summer 2012 saw Steve Sykes take over at the helm and the band secured a 4th place finish at the National Finals in the Albert Hall on Daphnis et Chloe. 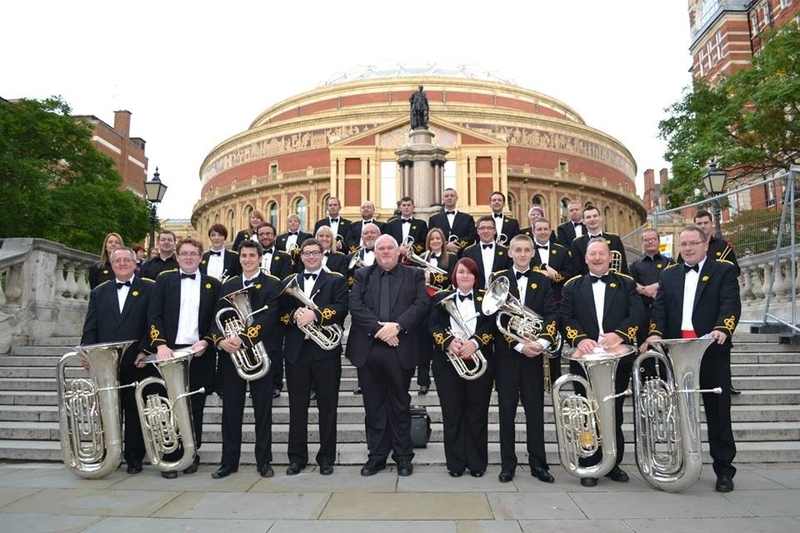 This was to be a further turning point in the band’s history and the title of Welsh Brass Champions quickly followed in 2013 winning the Welsh Area in Swansea and firmly put the band amongst the best in Wales. There have been numerous highlights throughout 2013 including some notable contest performances at the Welsh Open and the All England International Masters as well as small screen fame with Rhod Gilbert’s Work Experience on the BBC. The band will end 2013 with a celebratory concert on the 16th of November and would love to see ex-players return to help celebrate this milestone in the band’s history. The event will be hosted by Welsh Soprano star Beverley Humphries and further information can be found at tongwynlaisband.com/anniversary.